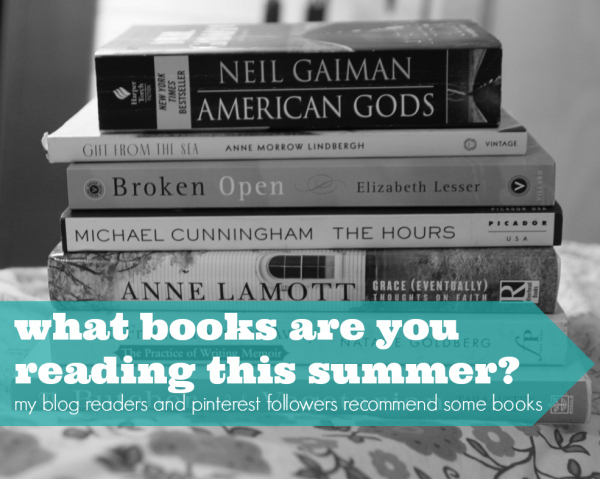 A couple of weeks ago, I asked you to share a few of your recommended books for summer reading in the comments of this post. What a list!! I've added almost all of them below and grouped them by general "categories." Hope you find a few you enjoy! Norton Anthology of Poetry by Ferguson et al. A little note from Liz: I'm excited to dive into a few of these books this summer, and I hope you will join me. Please note that I haven't read most of them and am in no way recommending each of them. Rather, this is a list of books from my blog readers and Pinterest followers that I hope will give you a variety of possible books to choose from. You can read more about the books if you follow the links to Amazon. Some people wrote a bit about why they recommended their books, and you can read that in the comments of the original post here. If the recommended book seemed to fall far outside the realm of "summer reading" or was out of print/difficult to find, I didn't include them, but I did try to add as many as I could. You can find all the recommendations in the original post. Thanks so much for playing along and happy summer reading!! !